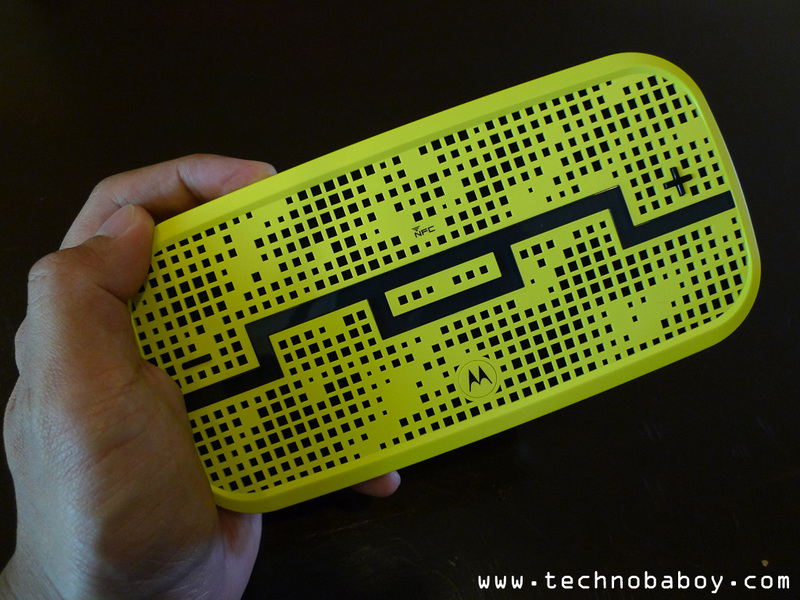 The Deck is a new Bluetooth speaker born from a joint venture between headphone designer Sol Republic, and mobile phone manufacturer Motorola. 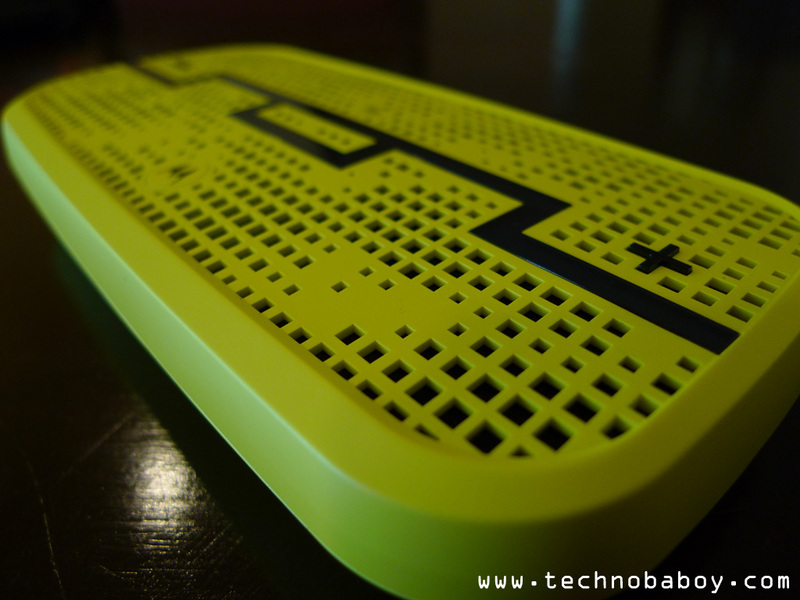 The first thing you’ll notice with the Deck is its eye catching color (our review unit was lemon lime), cool design and familiar shape (like a Playstation Vita). The body is made of a high quality matte plastic material which feels very solid and sturdy. 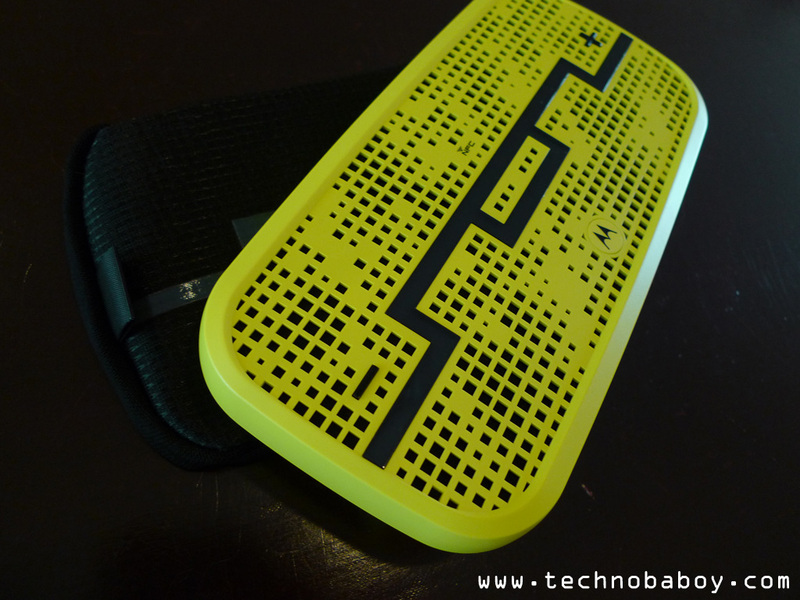 There is also a rubberized pad underneath that helps keep the speaker from slipping. 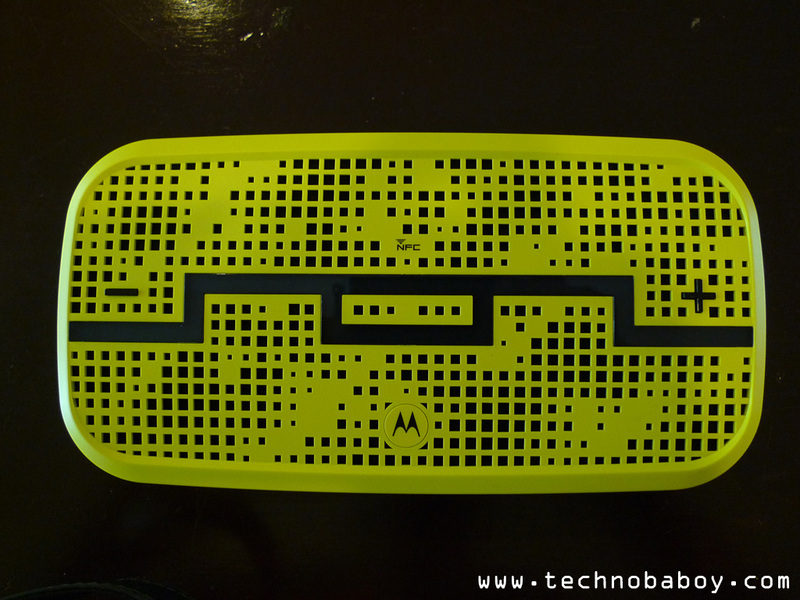 On the surface, you will see the beautiful square patterned speaker grills, the multi-function button with Motorola’s logo, the volume buttons, and the Sol Republic logo. 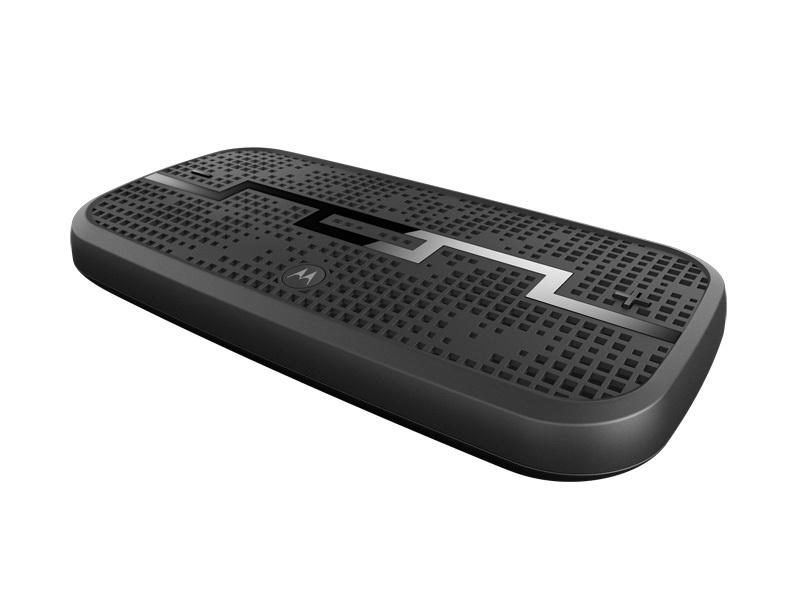 The “M” button controls pause and play, song skip, and speaker phone functions like answering and terminating calls. The Sol Republic logo lights up and acts as a “Status light.” It adds a nice visual touch, and also assigns a color for each connected device (up to 5 in Heist Mode). 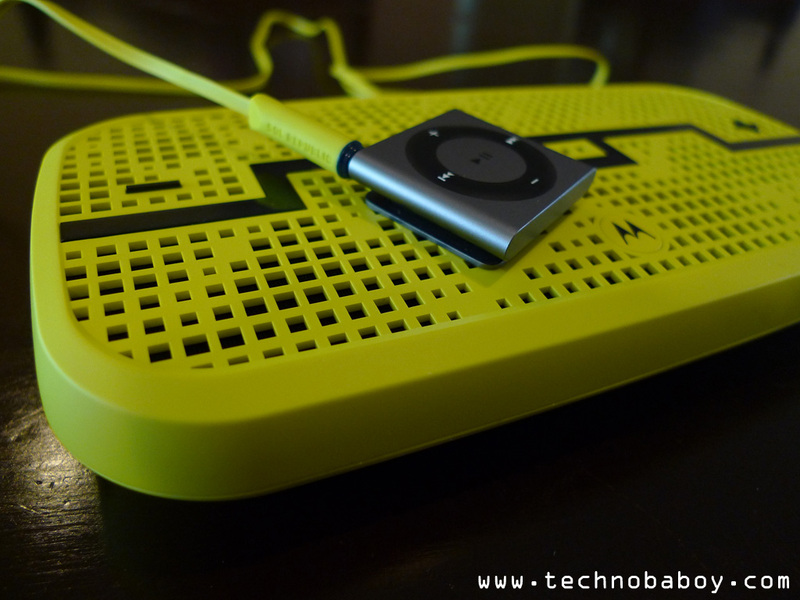 The top of the speaker has the power switch, an LED notification light, a micro USB charging port, an Aux input, an Aux output to daisy-chain or connect other speakers, and a sliding key which changes the speaker between three modes: single user mode, Bluetooth pairing, and the Heist Mode. The Heist Mode allows up to 5 people to connect to the Deck. Each connected user can play their own track. 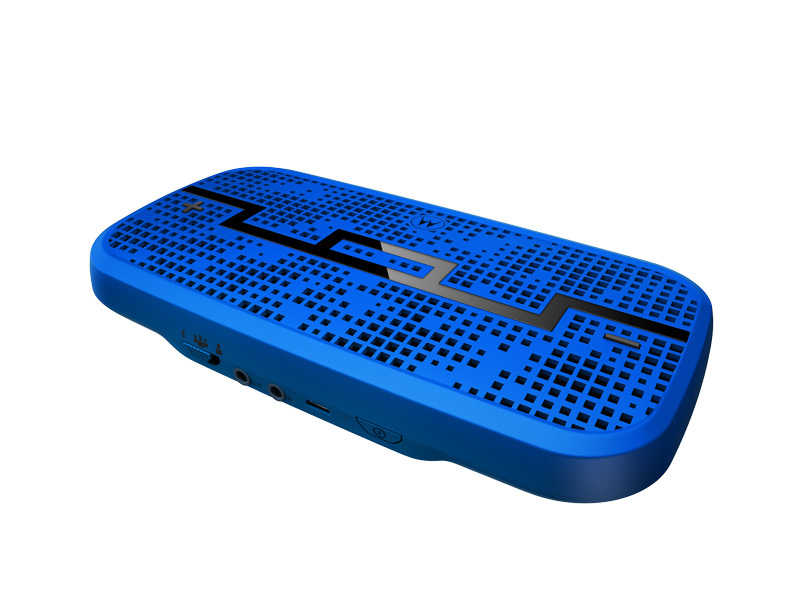 The Deck is touted as the only wireless speaker that features 360 degrees of full sound. This works by way of the R2 sound engine speakers facing upwards. 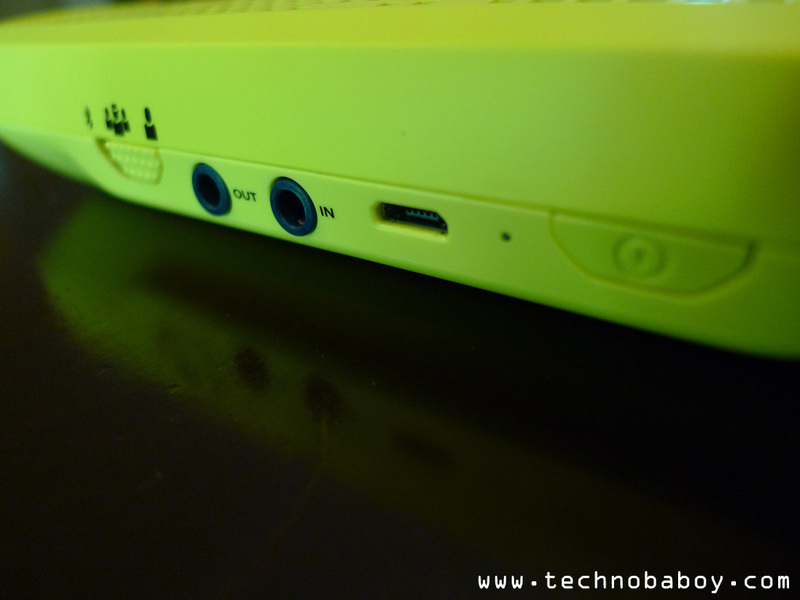 There is also a bass port on the left side of the speaker. The Outdoor Mode increases the volume of the upper frequencies, making it easier to hear in open areas. This is activated by pressing and holding the M button. The Deck features the industry leading Super Power Wireless range of up to 300 feet. During testing, I was probably around 170 to 180 feet away and it still played without a hitch, even at that distance. But obstructions like walls and floors, even at close distances, cause connection problems making the music to skip and stutter. It also has NFC connectivity. The Xperia V I used connected without a hitch. The pairing was surprisingly fast and easy. 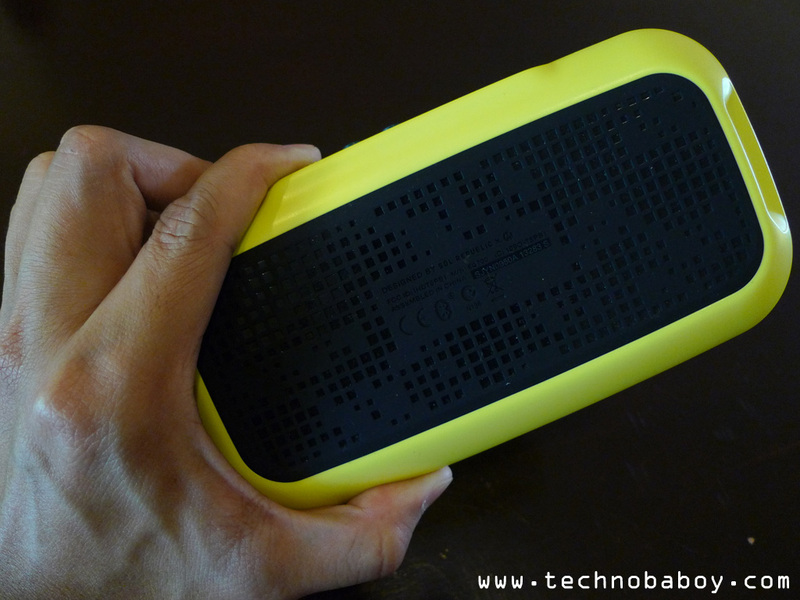 Audio performance was quite good for a portable speaker of this size. I played various music genres to see what it can do. 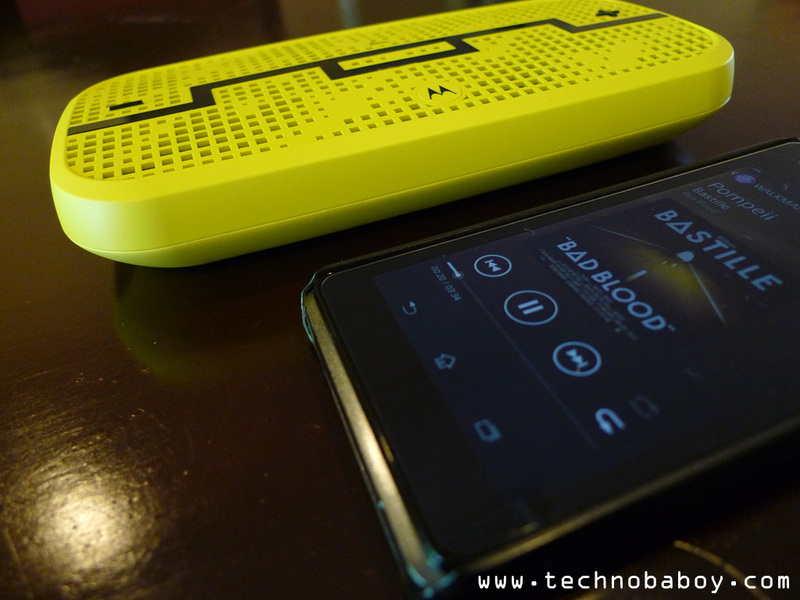 I was pleasantly surprised that it was able to deliver rich sound. Vocals were clear. The bass could use a boost, but that would be asking too much from something this small. You’ll also notice that the Deck has some power when it plays music. It can easily fill a small room with sound. And if that’s not enough, you can use the Outdoor Mode. It really does make a difference when outside. The increase in the upper frequencies keeps the sound afloat in a noisy environment. The Heist Mode was interesting, to say the least. I tested this with 3 phones. When you play a song while the other one is playing, the first song is hijacked and paused, in favor of the second song. This could be fun/useful in a group of people with different tastes in music genre. Some walls affect the quality of the connection, even in short distances. While walking around the house, there was a bit of a stutter when I entered one of the rooms. It doesn’t seem to happen in other rooms though. Battery run time was quoted at 10 hours. I was using it extensively for the majority of the day, around 8 hours at moderate volume. 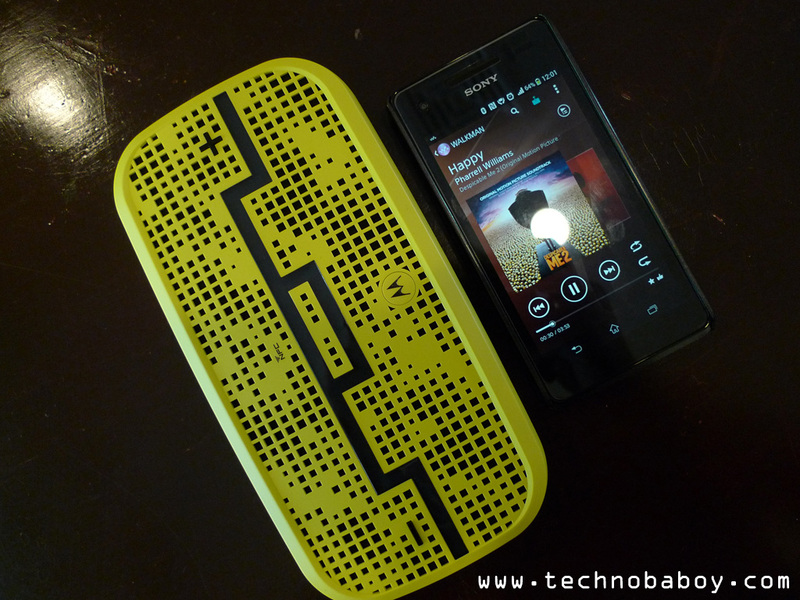 The Deck is a wonderful wireless speaker. It’s beautiful, offers rich sound, and has impressive connected distance. 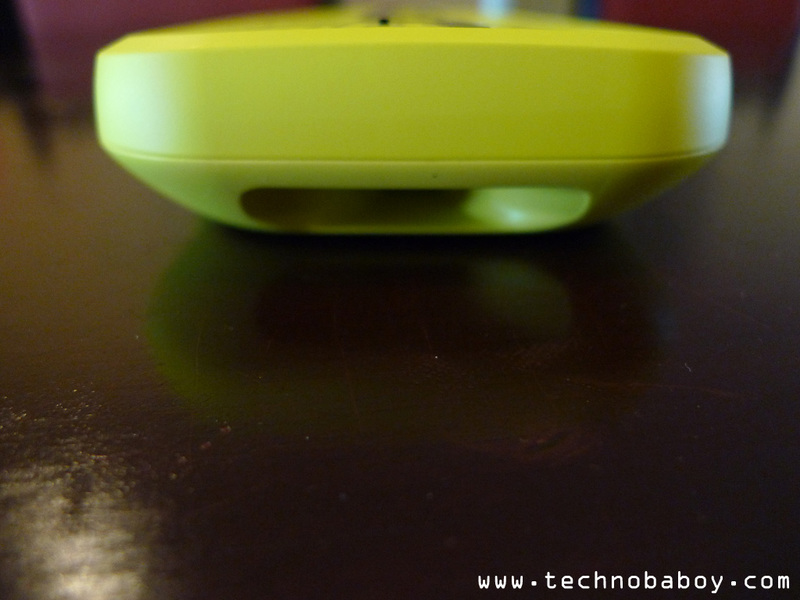 The device is very solid, and just by holding it you’ll know that it’s made of high quality materials. The only obstacle I see is the price. The Deck retails for P13,000. So if you are on a tight budget, then you have to look elsewhere. But if you want a good sounding, feature packed, beautifully designed, cool looking wireless speaker, then the Deck is what you are looking for. 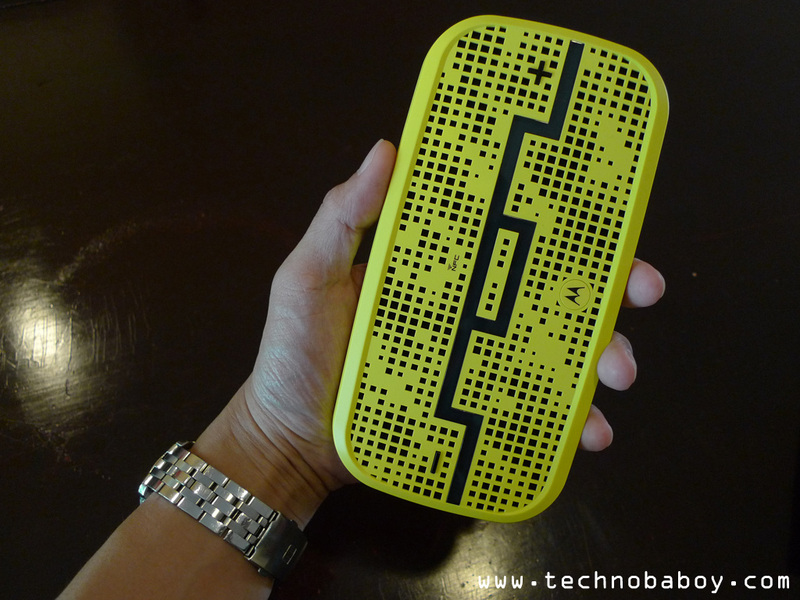 The Sol Republic Deck Wireless Speaker is available at the following stores and outlets for P13,000. For more information about SOL REPUBLIC’s full line of products in the Philippines, please visit www.eleksis.com. Sol Republic is a global consumer electronics company dedicated to enhancing people’s lives through style, sound and technology. Comprised of music fanatics, Sol Republic develops its products from the ground up to look, sound and feel unlike anything else in the market. 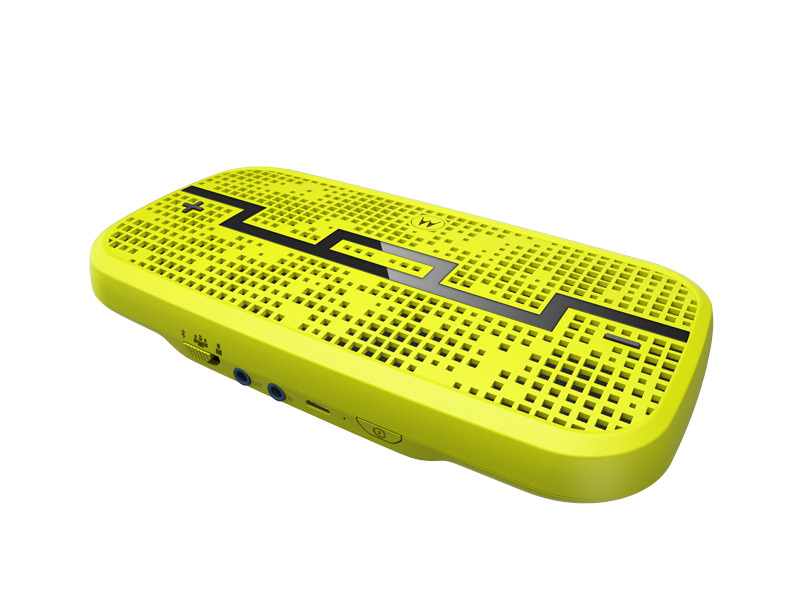 For more information, please visit www.solrepublic.com.